In a modern industrial society, the managerial function may be viewed primarily as one of adapting the enterprise to changing conditions; whether a company does or does not grow depends on its managerial ability to adjust rapidly to change. Success in carrying out this function differs sharply between highly industrialized countries and can be explained partly on the basis of national differences in managerial backgrounds and selection and reward procetures and partly on the basis of national value systems. This is the important hypothesis that forms the basis of David Granick's study and which he tests by means of detailed case studies in large scale enterprises in three major industrial countries.Chapters in Part I form the theoretical core of the study--they present a model of economic growth that uses managerial adaptability as a key variable, discuss the effect of value systems on managerial behavior, and explore the effect that national managerial career patterns has upon managerial structure and behavior. 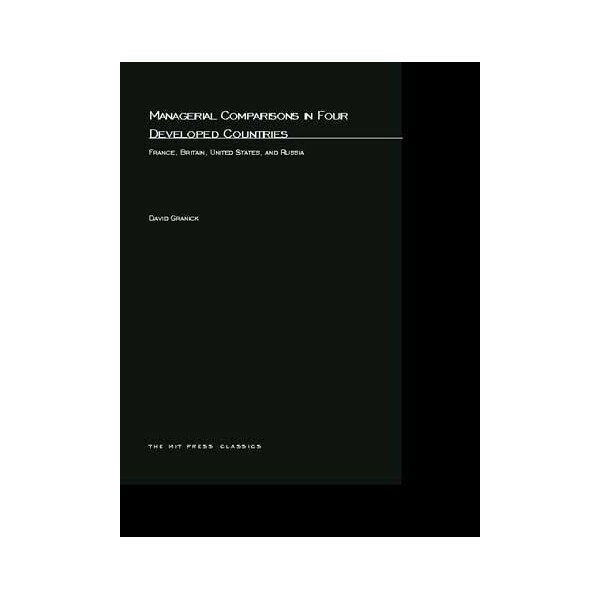 Part II comprises representative case studies of corporate structure and behavior in France and Britain, which are examined against the background of United States and Russian managerial behavior. Part III introduces a considerable amount of original data on the education of managers, the nature of their careers within their companies, the level of their earnings relative to that of blue-collar workers, and the nature of the bonus systems under which they work; it differentiates the four countries studied according to these variables. Two problem areas of managerial decision making--investment behavior and the methods of internal company pricing--are explored in Part IV, and reasons are presented for the major national differences in the solutions employed. Part V sums up the study and briefly treats developments in large-scale French and British industry since the original interviews were conducted.Professor Granick's study adds a valuable and solid piece of research evaluation to the still very limited literature on international business and comparative management. 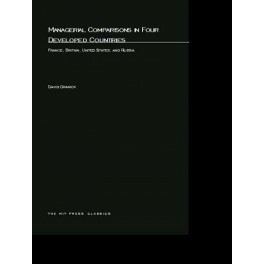 It provides considerable insight into the backgrounds, value systems, and behavior of managers in the countries studied and reveals how the manner in which management interacts with different social and cultural environments affects the progress of major corporations. The book is an unusual mixture of sophisticated economic and behavioral analysis and should appeal to a heterogeneous group of readers, ranging from those concerned with economic growth and international business to microeconomics and industrial sociologists.